Major League Gaming, commonly abbreviated and referred to simply as “MLG”, is a large organiser of eSports events held across North America and the world. Founded in 2002, it has grown into one of the industry’s trailblazers, setting the standard for broadcasting of major events, and elevating the likes of Halo and Call Of Duty into permanent pro gaming schedules. As it looks to grow and evolve into a major broadcaster of eSports events for a mainstream audience, MLG is on an ever-rising path towards pro gaming dominance. MLG was founded in 2002 by Sundance DiGiovanni and Mike Sepso. It quickly grew into a dominant force in pro gaming, and became the first televised video game console gaming league in 2006 with the hosting of the Halo 2 Pro Series. Such was the popularity of MLG in its first few years, it was able to raise more than $10 million in investment capital, despite eSports still being a fairly niche aspect of the gaming community. The company is in many ways credited with reigniting interest in the fighting game pro gaming circuit. In March 2010, it acknowledged the popularity and watchable of Tekken 6, and added it back to the pro circuit, hosting tournaments on PlayStation 3. It also brought back Super Smash Bros., which arguably led to what is a thriving eSports community for that game today. MLG has been active in stamping out cheating, and as such removed the official “Pro Circuit” branding from the Xbox 360 after JTAG Hacks were found to be extremely common in the console’s version of Call Of Duty: Modern Warfare 2, which was added to the Online Pro Circuit in 2009. This forced pro 360 players to compete online without earning pro points, pushing a lot of the competitive scene over to the PS3. The year 2012 would prove to be an important one in MLG’s history. It would partner with CBS Interactive, integrating a lot of its coverage on CBS’ dedicated gaming site, Gamespot.com. It would also team up with KeSPA (Korean eSports Association), which allowed MLG access to KeSPA’s Starcraft: Brood War players. As you can imagine, this led to the creation of some truly dominant teams. Come late 2015, and MLG was the dominant force in eSports events and broadcasting. So much was the company, it was purchased by Activision Blizzard for $46 million. It was an unsurprising purchase, seeing as though both Call Of Duty and StarCraft — two Activision Blizzard-owed franchises — were two of the more popular MLG games. 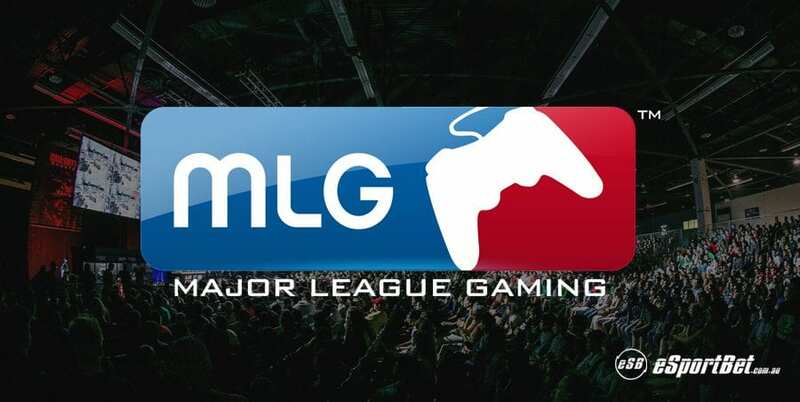 Activision admitted that the purpose of the purchase was mainly to get its hands on MLG’s streaming service, MLG.tv. Activision CEO, Robert Kotick, explained as much, telling the New York Times that his goal was to create the “ESPN of video games”. As of early 2017, MLG still exists in its current form, and it continues to innovate and evolve the eSports broadcasting experience. Call Of Duty is undobutedly the biggest game and event on the MLG gaming calender. While there are other events and public tournaments across the likes of Overwatch, CS:GO, StarCraft, FIFA, and more, Call of Duty is the epitome of the big-time MLG pro gaming event. It has a prize pool totally more than $4 million as of the 2017 season, with the Call Of Duty World League standing as a tour de force for the most competitive first-person shooter on the market. Throughout the years, MLG has hosted pro tournaments at a number of locations across North America. With Activision’s purchase of eSports and celebrities also looking for a piece of the pie, it’s clear the pro gaming has a very big and important future. Stadiums are filling up across the globe, more and more regions are getting involved, and the mainstream success of eSports is all but guaranteed. Games like Rocket League, which MLG has sponsored in the past, look to reinvigorate eSports just as the older games become stale, while the likes of Rainbow Six: Siege looks guaranteed to find a place among the tactical shooter juggernauts of the CS:GO variety.